I've described the high-tech metal band DragonForce as a bunch of talented artists who take themselves seriously enough to create the best-crafted product they are capable of, but not so seriously that they spoil the product in the name of "art." 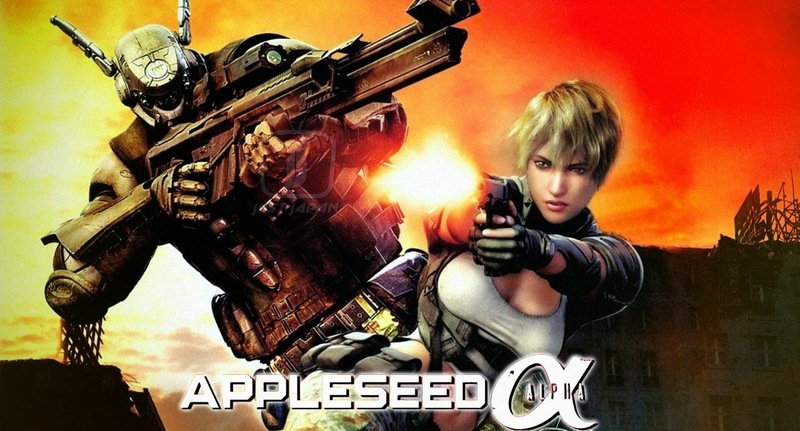 Appleseed: Alpha is a great illustration of that in a visual medium, pulpy entertainment done as well as could be expected on a reasonable budget (dirt cheap by comparable Hollywood standards) and delivered in a hyper-digital medium. It's earnest without becoming ponderous. The setting is completely different from the previous movies and series. If anything, it owes more to The Road Warrior (with robots instead of biker dudes), and comes to a "Hulk smash!" conclusion: take out the bad guys and kill the mecha Godzilla to keep it out of the hands of the much badder guys. The easy-peasy plot is a vast improvement over previous Appleseed efforts, that had such tangled narrative structures it was a miracle the villains could remember what they were supposed to do next. Here's a key to good quality schlock: don't over-complicate the premise and stick to what works. Which ultimately does make Appleseed: Alpha more interesting for reasons other than the story. To start with, it's a demonstration of how much digital animation technology has improved since Appleseed (2004). There's a scene in Appleseed: Alpha (2014) where my attention was drawn to Deunan's hair--down to the individual strands--shifting ever so slightly as she moved her head back and forth. Hair is a bear to render digitally, so it's stylized the same chunky way it is in hand-drawn anime. Shading as well uses a limited palette. The resulting low-res digital characters seem caught in a flatland between two and three dimensions, appearing hand-drawn sometimes and like sophisticated marionettes at others. Evidence that Moore's Law hasn't been repealed shows up in unlikely places, like the cost of rendering digital cartoons. The backgrounds in Appleseed: Alpha often leap right over the "uncanny valley" straight into a world you could easily mistake for real. Human faces, however, remain firmly planted on the other side of the valley (granted, there are so few human faces in Alpha that it rarely spoils the effect). As a result, in the emoting department, the human Deunan is upstaged by the cyborgs. Even Ms. Killer Robot (with her runway model moves) has more personality. Not having a face helps. All the rendering in the world still can't infuse a digital face with the same "soul" as hand-drawn animation. 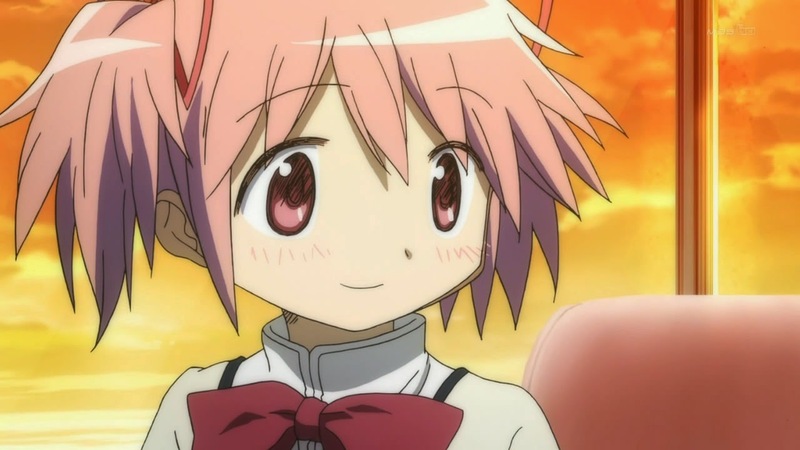 Comparing the Deunan to Madoka (from Puella Magi Madoka Magica), for example, abstract art wins hands down over photorealism (though I'm still impressed by the hair). Maybe the day is coming when we will increasingly risk losing ourselves in a computerized Matrix that is indistinguishable from what we once knew as "reality." But it isn't here yet, and like the self-aware AI that's supposed to be soon taking over the world, I seriously doubt that day will ever arrive.